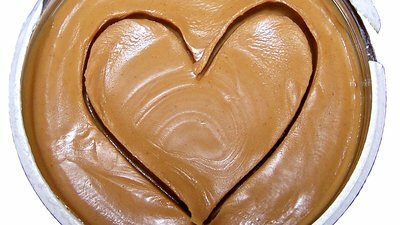 3 Peanut Butter Alternatives To Go Nuts For! Peanut butter is great, but why stop there? You need to try these three delicious, health-hiking nut and seed butters! When growing up, I had two options when it came to which nut butter I spread on my breakfast toast: creamy or crunchy peanut butter. Unfortunately, much of what was on the market at the time was full of sugar and hydrogenated oils—trans fats. But then came along almond butter, and suddenly, the peanut version had some much-needed competition. Nowadays, store shelves are stocked will all sorts of ground nut and seed options, each offering unique flavor and nutritional profiles. Here are three alternative butters worth going nuts for! When you grind up cashew nuts, you're left with a velvety spread that has a buttery, almost indulgent taste. Fatty in a good way, nearly 70 percent of the fat calories in cashew butter come from monounsaturated and polyunsaturated fats. These are the fats you want. A large review study (over 4,000 subjects) looking at the impact different macronutrient ratios had on blood glucose control discovered that replacing about 5 percent of daily calories from carbohydrates or saturated fats with those from monounsaturated or polyunsaturated fats may have favorable effects on overall blood sugar control. Swap out that heavily processed vending-machine snack for a cashew butter sandwich! You don't have to have a child who attends a peanut-free school to keep your kitchen stocked with this nut butter alternative. Gleaned from the seeds of the sun-worshiping plant, sunflower butter has a texture surprisingly similar to that of ye olde peanut butter. Nutritional highlights include high levels of physique-friendly unsaturated fats along with a range of minerals including manganese, copper, phosphorus, and magnesium. It's also a great source of vitamin E. A 2-tablespoon serving contains a whopping 27 percent of your daily needs! This is good news, given the strong antioxidant properties vitamin E has. While not as common as other nut butters, the walnut variety is worth seeking out for its rich, slightly bitter flavor profile and impressive nutritional resume. Among nuts, walnuts lead in respect to omega-3 fatty acid. That means that when you spread this nut butter on your morning toast or atop apple slices, you'll add a dose of this desirable fat to your diet. Research published in the Journal of the American Heart Association found that a high-fat diet rich in walnuts (35 percent of total calories from fat, 1.5 ounces of walnuts per day) had a favorable impact on blood cholesterol in insulin-sensitive overweight women, resulting in lower LDL "bad" cholesterol levels and higher HDL "good" cholesterol levels. Le, T., Flatt, S. W., Natarajan, L., Pakiz, B., Quintana, E. L., Heath, D. D., ... & Rock, C. L. (2016). Effects of Diet Composition and Insulin Resistance Status on Plasma Lipid Levels in a Weight Loss Intervention in Women. Journal of the American Heart Association, 5(1), e002771.